How long have you been in the hotel industry? I’ve been in this industry for almost 22 years. I started when I was 19 or so. Back then, I was just looking to get a job as quickly as I could to support my family, and many hotels were hiring then. My first job was in the front office as a receptionist. I had to welcome and assist guests, be present at the lobby, and perform check-in and check-out functions. What made you stay on for over 20 years? I grew to love the industry. I especially like meeting guests from different regions around the world. Growing up, I didn’t have the opportunity to travel a lot. 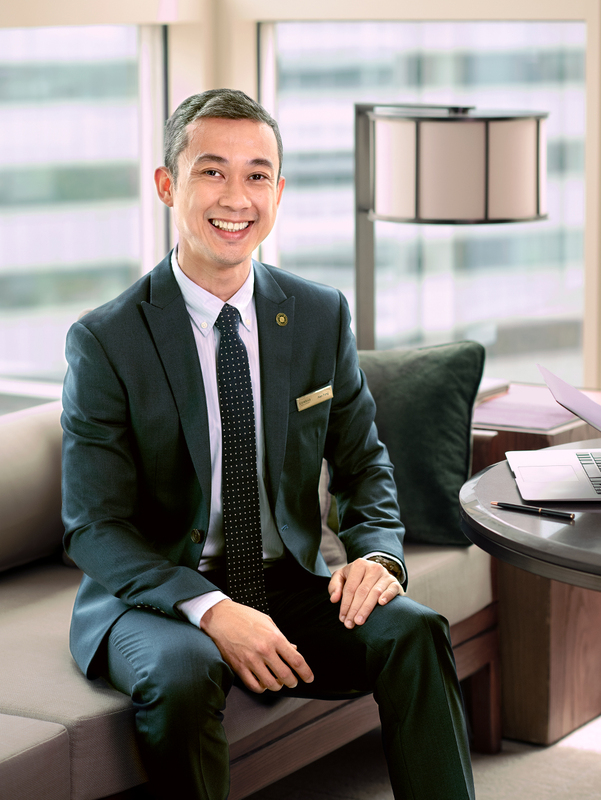 Working in the hotel industry gave me a lot of opportunities to meet and interact with interesting people from all over the world. When I talk to the guests, I get to learn about their experiences – where they come from and stories from their countries. How did you start working in the IT department? After working as a receptionist for a year, my manager offered me a position as a night auditor. Apart from the usual work I used to do as a receptionist, the new role also involved working with systems – I had to close the day’s transactions and then prepare the systems for the next business day. It seemed like a greater task, so I decided to take it on. I worked as a night auditor for about three years, and because of the exposure to the systems, I met with a lot of IT vendors and experts. This was how I met my mentor. He trained and helped me out whenever I encountered any issue. He was also the one who suggested that I apply to be an IT executive. He told me, “I believe you can do more.” That meant a lot to me, and boosted my confidence. So I got the necessary certification and a while later, my mentor offered me a job as an IT executive. If you could describe your job in one word, what would it be? Exciting! Sometimes I am faced with unexpected challenges, and I have to find a way to work around it. For example, I once had to provide tech support for a guest’s phone. He was from Dubai and his phone was operating in Arabic, so I obviously had problems troubleshooting it because I didn’t understand the language. But I couldn’t turn down his request just because of that. I called my friends and used my own phone as reference to find the right functions. I managed to figure it out in the end, and it was quite a satisfying experience. How do you keep up with changes in technology? Because of my exposure working in different hotels, which use different technologies, I was able to follow the trends and stay abreast of the trends and developments in technology. What’s your most memorable experience working in the Business of Happiness? I have many memories of helping different guests. It’s always good to see them smile at the end of the day, but I think that my most memorable experience was when I met someone special – my wife! She was a concierge at the same hotel I was working in back then, and we’ve been married for 15 years. Sometimes I ask my wife about how she works with her IT department, and that’s also how I keep up with technological trends. IT is usually a back-end job, so you’re mostly unseen. But how important do you feel IT is in making a guest’s stay enjoyable? People often ask me, “What do you do? If you’re in IT, people only look for you when there’s a problem right?” Yes, we’re quite isolated from other departments, but we don’t just manage the tech systems or IT gadgets, we also care for our guests. I interact with the guests, not just by servicing their devices and computers. I have to be present in the front lobby, to greet guests, to ask them if they’ve tried our new technology, and to ask them for their feedback and to understand their needs. By doing that, I’m able to know what systems need to be improved. I don’t believe in implementing a new system just because it’s cool and trendy, and end up creating more stress for the guests. I want something that actually gives the guests a smooth and seamless experience to enhance their stay. Hotels now are very different from hotels in the past, with all the new technology and gadgets. How do you think the hotel industry will change in the future? A lot of hotels are introducing more automation with robots, but I believe face-to-face interaction with guests will still be important in the hospitality industry. If you can make the guests’ stay comfortable, and give them a memorable experience to bring home, it is an achievement, because you were a part of their journey. When you get to know a person, he or she is no longer just a guest but a friend. What advice would you give someone who wants to join the industry? Keep an open mind, and look out for all the things you can learn from the industry – not just from the work that you do, but also from the people around you and the guests that you meet. You never know what’s going to happen, so just do your best.